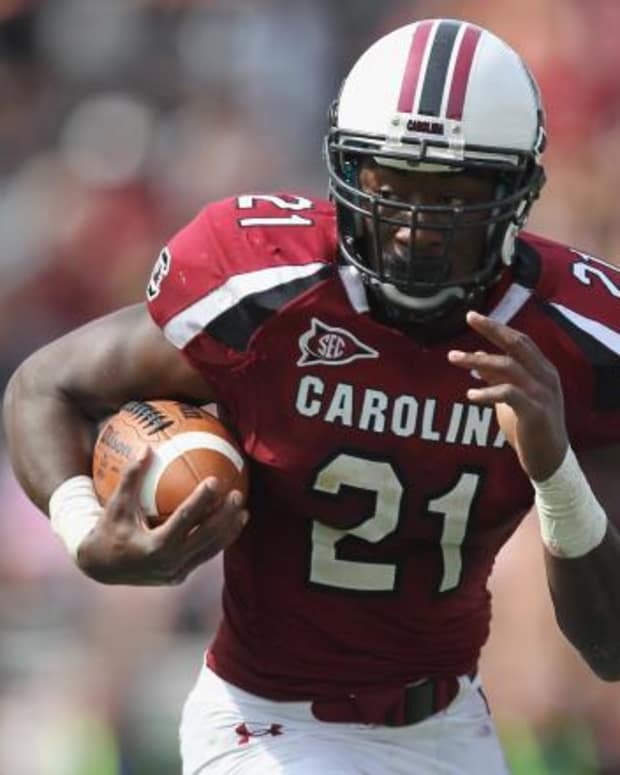 What Can South Carolina Expect Out of Marcus Lattimore in 2012? All indications from Fall practice are that Marcus Lattimore&apos;s knee is healthy, and he is ready to go. He will be the featured running back as long as he stays healthy. Before he was injured many fans questioned his high volume of carries. Expect those concerns to re-surface this season. Marcus Lattimore is easily the best running back South Carolina has seen in 30 years; he may be the best ever. His presence in the game forces defenders and coordinators to account for him. The more plays he is on the field, the better chance South Carolina has to win games. Unless he is tired, hurt or the game is out of reach, Lattimore needs to be in the game. He has done the training and deserves to have as many carries as he had before he went out. Those carries weren&apos;t the cause of his injury before, and we have nothing to indicate it will be again. The good news for South Carolina is that Lattimore may not need to get 30 plus touches a game. Connor Shaw has proven he can win games in this conference without #21 lining up behind him. Other players stepped up last year to carry the load. South Carolina did not panic last year; everybody else stepped up their game to pick up the load, a sign of maturity and good recruiting. To touch on what Billy said, Marcus can impact the game with out getting carries. Lattimore demands to be addressed first, which opens up the play action pass. That said, it should make South Carolina fans smile just a little knowing that if it comes down to it, you can give it Marcus 40 times and get out with a win. Marcus "the workhorse" Lattimore will be fine in 2012 as the Gamecocks will not have to ride him too hard this season. The depth at running back is at a point that they can spread carries. Also the emergence of the tight end corps should help to gain additional yards on the offensive side of the ball and the burden will not have to fall on Latti&apos;s knee in 2012. Lattimore is back and should be better then ever. I think better depth will help keep Lattimore fresh for when they really need him late in close ball games. Spurrier will once again rely on the run, so look for Wilds, Miles and Lattimore to all get plenty of carries this season. As for over using Marcus, I don&apos;t think that will be a problem this season. College Football Analysis: Can South Carolina Win Without Marcus Lattimore? What Can You Expect from Kansas State in 2012? 2012 Fantasy Football: What Can You Expect Out of Jordy Nelson, Victor Cruz this Year? College Football Preview: What Sort of Year Will South Carolina Have in 2012? 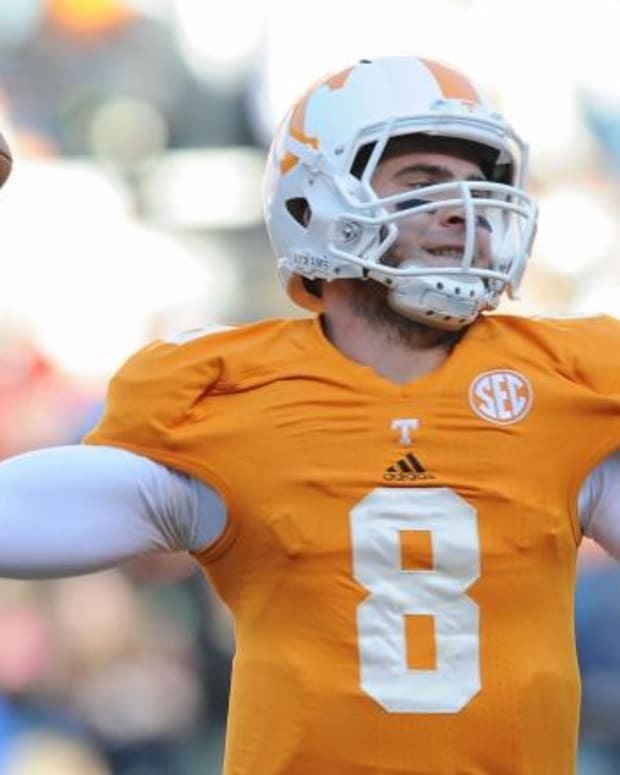 What Can Kansas City Chiefs Expect Out of Tyler Bray?